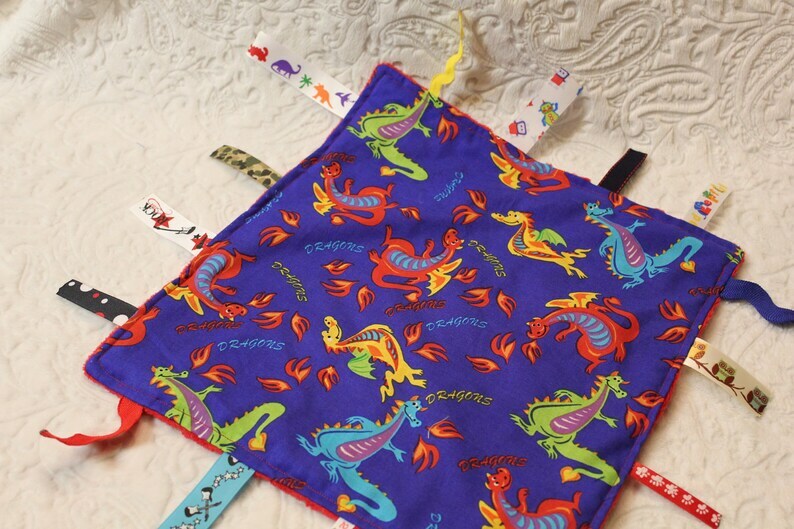 One side of this blanket is royal blue with many colorful dragons all over. The other side is made with red minky dot fabric (If you prefer a different color of minky dot on the back side, please let me know when checking out). The ends of the ribbons have been heat cured to prevent fraying.